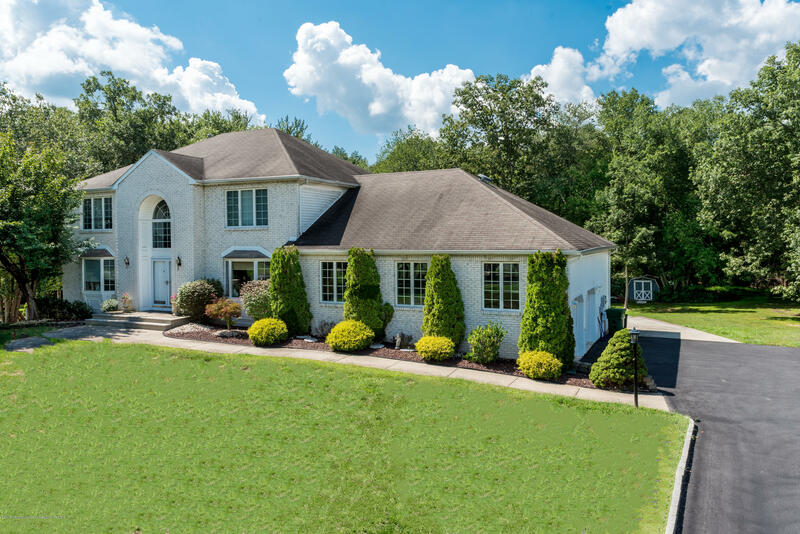 Exceptional, 4 bedroom, 21/2 bath colonial.Set back on 1.86 acres, this property offers privacy, surrounded by nature.Note the recessed lights and crown molding in this lovely center hall home. The eat-in kitchen was updated and has granite counter-tops and a pantry.The adjoining family room boasts a wood burning fireplace and recessed lights.On the second floor are four generous sized bedrooms, including a master bedroom with a walk-in closet and ensuite bath with whirlpool tub and shower and the full basement is finished and offers additional living space. The Trex deck with retractable awning overlooks the spacious back yard and separately fenced inground pool. Finally there are underground sprinklers and solar panels which are owned and result in low energy bills and SREX to sell.